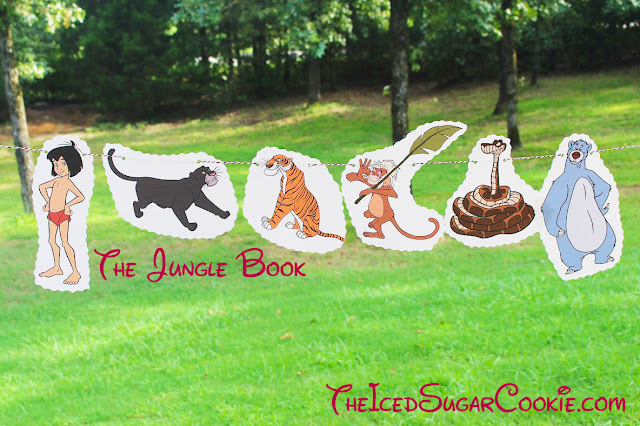 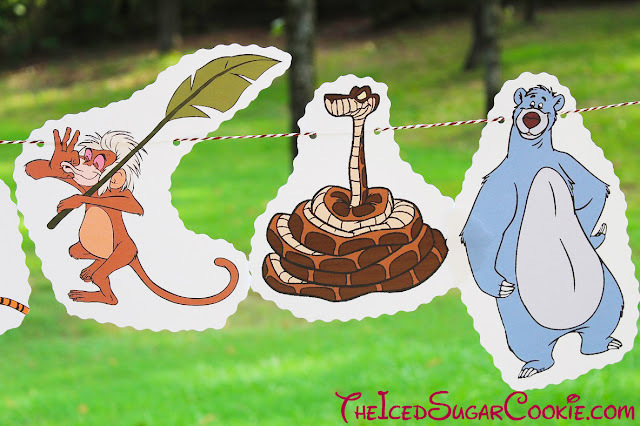 If you're throwing a Jungle Book birthday party then try making one of these Jungle Book banners. I found the Jungle Book clipart at disneyclips.com and printed them out on white card stock and punched two holes in each banner. 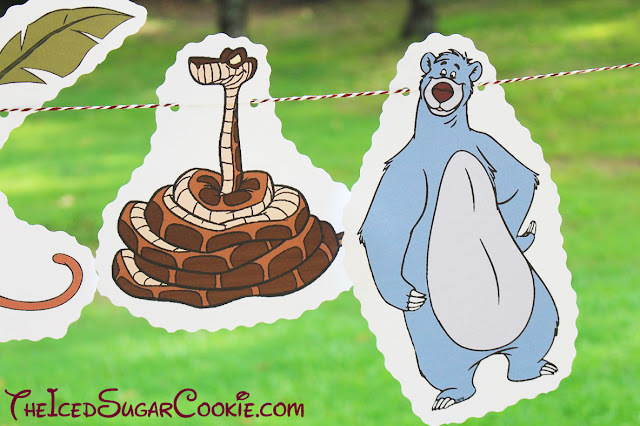 Then I run some paper raffia cord string through it. 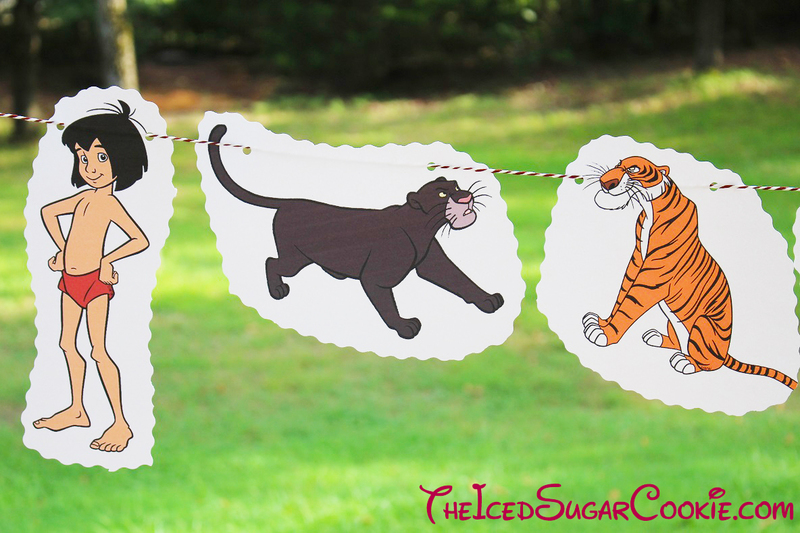 This banner features Mowgli the boy, Baloo the bear, Shere Khan as the tiger, Bagheera as the panther, Kaa the sneaky snake, and King Louie's monkey servant.